Its currency, the bolivar, is literally worth less than a penny. Just a month ago, $1 was worth 279 bolivars. That was already pretty dismal for Venezuela. Now $1 equals 408 bolivars, according to the unofficial exchange rate, which most Venezuelans get when they try to trade currency. Put another way, one bolivar equals $0.002 -- less than a penny. The country's currency has lost nearly half its value since the beginning of May, according to dolartoday.com, a website that tracks the unofficial exchange rate. It's another sign that Venezuela is arguably the world's worst economy. Venezuela primarily relies on oil exports to support its economy, which was already under pressure before oil prices tanked in the fall and winter. The fallout: Socialist President Nicolas Maduro has touted the Bolivarian Revolution, started by his deceased predecessor Hugo Chavez, as a successful movement. The goal is to equally distribute wealth among all the country's people. 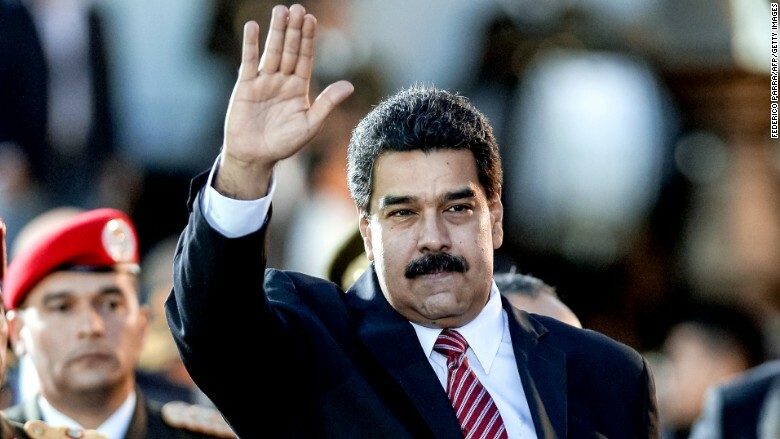 Maduro has continued massive public spending programs to appeal to the country's poor. But the bolivar's implosion has only created more inequality. There's a growing divide between Venezuelans who can pay to exchange bolivars for dollars and those who can't. The gap is most glaring at the local grocery store. The government imports many consumer goods -- like toilet paper, beef and shampoo -- but it can't pay for these goods anymore. Venezuelans wait for hours outside grocery stores, hoping they can get basic items like milk and flour. Maduro's government now barters in its trade deals. Uruguay pays Venezuela in beef for some of the Venezuelan oil it buys. In February, the prime minister of Trinidad and Tobago offered to exchange toilet paper for Venezuelan oil. Venezuelan officials declined to comment on the offer, according to Bloomberg. Here's a few other warning signs for Venezuela and its economy's future. 1. American companies are getting crushed in Venezuela. Lots of American companies do business in Venezuela, and they're losing hundreds of millions of dollars. Coke (COKE), American Airlines (AAL), IBM (IBM) and even Disney (DIS) have said that they are exposed to losses due to Venezuela's currency. The devalued currency is hurting their earnings. Oracle (ORCL) lost $111 million in Venezuela in its last fiscal year. Ford (F) lost $800 million last year. "We would have incurred a net charge of approximately $480 million," Pepsi said in its earnings. Talk about an adjustment. 2. Obama slaps sanctions on Venezuelans. In March, President Obama announced stiff sanctions against seven high-ranking officials in the Venezuelan government and military. All their U.S. assets, including houses, cars and bank accounts, were either frozen or confiscated. Maduro lambasted Obama, calling the sanctions an imperialist move. It created some tension at the Summit of the Americas in Panama in April, but Obama won over many fans with the renewed relations between the U.S. and Cuba. 3. Default in October? 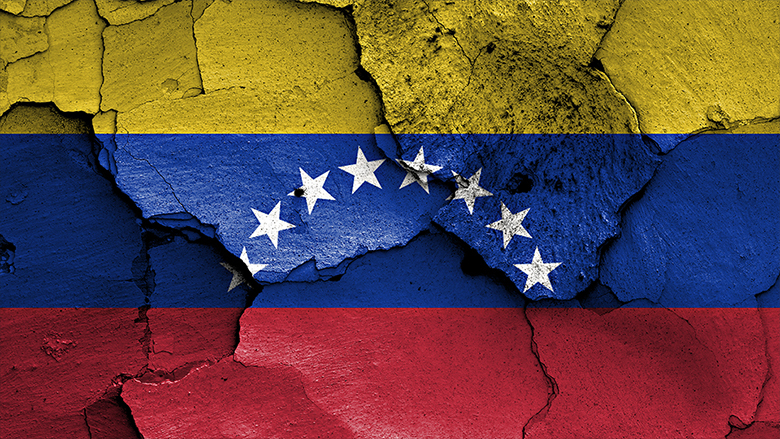 The grand finale to Venezuela's tumultuous 2015 could come in October. The government owes about $5 billion in debt payments then, and there are few convincing signs that Maduro and his government can pay the bills. Venezuela could default on its debt in October, sending the country further into economic mire.